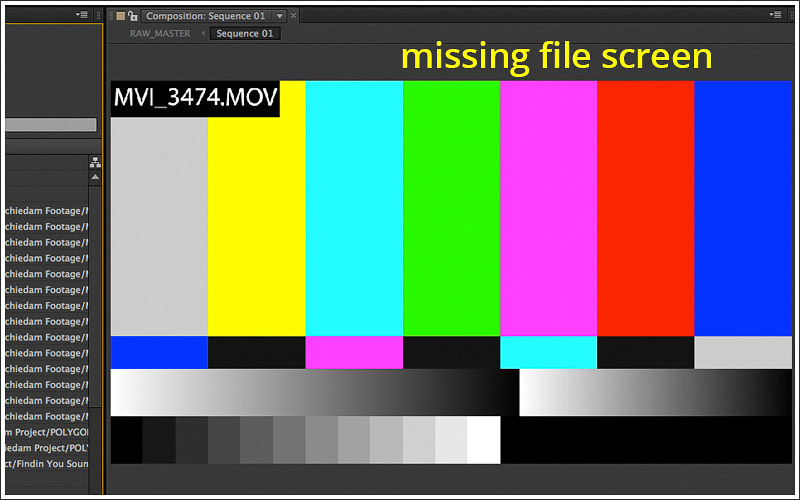 We’ve created some compositions in After Effects (yay! ), now we’ll discuss the options and most crucial part of any movie production: Project Information, Saving Files, and Exporting Compositions. Every time you make a new project in AE you should immediately save it, this way the program knows where your file is located through your file extension. This pathway keeps track of everything you will do during this project. AE files are low in file size because they work off of paths to your individual footage locations. The worst thing you could ever do is accidentally rename, remove or straight up delete a footage file you were using for a project, because AE will not remember what it looked like. AE only remembers where that file was when you imported it, so make sure you’re organized. It is always best practice to move the files you are working on into a folder located in the same folder you have just saved your project. There is nothing worse than trying to locate files after you open up that really cool project you had going on six months ago, only to have multiple files missing. Or, you can perform a cool trick if you have created a project by importing footage from multiple places on your machine. 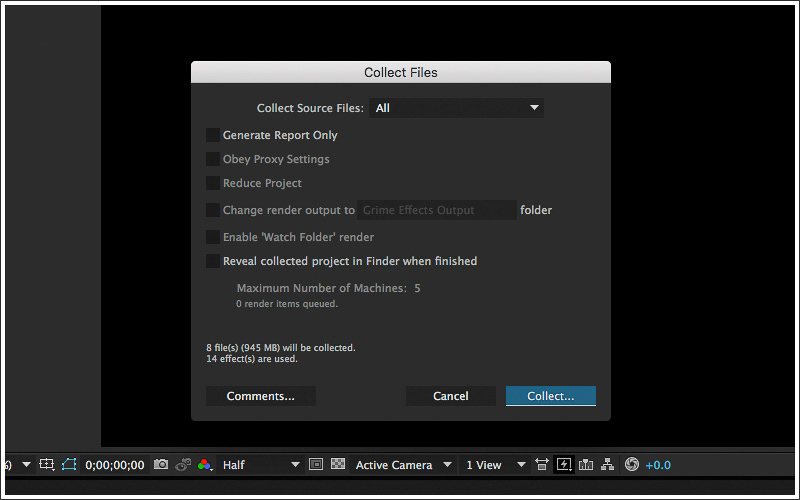 In AE CC and go to File > Dependencies > Collect Files. Once you click on “Collect Files,” a window pops up, which allows AE to pull all files from all the locations on your machine and place them into a single location of your choice. This is by far one of the best features of AE. Just keep in mind, AE is going to duplicate those files, so if you have larger movie clips of 2GB or more, it will take some time to duplicate everything. In the end, all your files will be stored in a single location, which will help you out the next time you open an older AE file. Another good feature is saving in short intervals, let’s face it, we get sucked into a project and can sometimes go an hour without saving. Why not let AE do it for you? Ok, let’s try it, go to Edit > Preferences > Auto Save. From here you can set your own save interval and AE will create an autosave version at the interval you decide on. Another decent feature is found at File > Increment and Save which will create five save points in increments that you will see (Filename_01.aep then Filename_02.aep and so on). This way you can go back five saves which could be nearly an hour ago, allowing you to jump back in time if your production efforts start to fail. You have a few different options for exporting your composition. To export your project you can go to File > Export and select the file type you want. You want to use that method if you are going to be exporting this composition to another program for post-product work. The best way to go about exporting your movie is through the render queue. From inside the queue you can place multiple render points to literally “queue” your compositions and allow AE to rendered them all at once. Rendering can vary from project to project, blurs and effects can slow down render time, however, creating pre-comps and utilizing existing movie footage can help cut down some of those precious seconds.